The agency had carried out searches at 35 locations in the state Wednesday including the residence of state police chief T K Rajendran, a probable first in the country, and state health minister C Vijayabaskar. The Central Bureau of Investigation (CBI) has arrested three promoters and directors of Annamalai Industries allegedly involved in Gutka scam in Tamil Nadu, officials said Thursday. The CBI has also taken into custody, Dr P Senthil Murugan of Food Safety and Drug Administration department of Tamil Nadu and N K Pandian, a superintendent of Central Excise department, they said. The arrests of the promoters A V Madhava Rao and Uma Shankar Gupta was made in the early hours of Thursday while the third promoter P V Srinivasa Rao was arrested later in the day, the officials said. The agency had carried out searches at 35 locations in the state Wednesday, including the residence of state police chief T K Rajendran, a probable first in the country, and state health minister C Vijayabaskar. 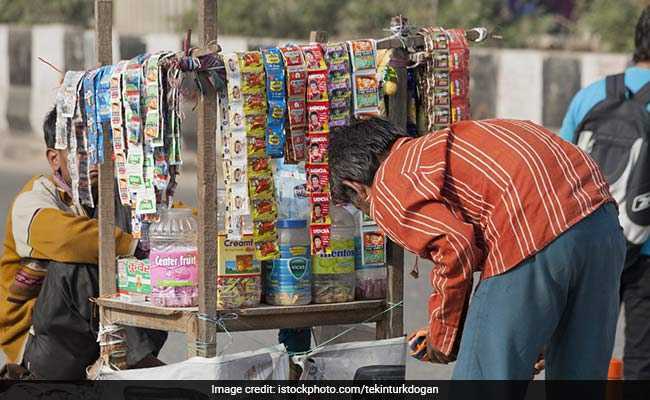 The case pertains to illegal sale of gutka, a concoction of tobacco and 'pan masala' which was banned in Tamil Nadu in 2013, by Jayam Industries. "The places searched were residential premises of the promoters/directors of the company and other public servants including officials of Sales Tax Department, Customs and Central Excise, Food Safety and Drug Administration Department and jurisdictional police officials," the CBI spokesperson had said. The promoter-directors of Jayam Industries -- A V Madhav Rao, Uma Shankar Gupta and Srinivas Rao -- continued selling MDM brand gutka in the state even after the ban by allegedly influencing officials, politicians and regulatory authorities, the agency officials said. Jayam Industries was rechristened into Annamalai Industries to continue the sale, they said. The scam came to light on July 8, 2017, when income tax sleuths raided the godown, offices and residences of the company in Tamil Nadu, which had been facing charges of tax evasion to the tune of Rs 250 crore. During the raids, the income tax department had seized a diary containing names of those who had been allegedly paid by the gutka manufacturers. It is alleged by the petitioner in the Madras High Court while demanding a CBI probe that monthly payments worth over Rs 14 lakh were made to health minister Vijayabaskar while payments in lakhs of rupees were made to officials of Central Excise, Food Safety and Sales Tax department of the state, senior police officials and politicians among others. This was challenged in the Supreme Court by a Tamil Nadu health official but the apex court sided with the Madras High Court order and asked the CBI to register a case. The agency had registered the FIR against unidentified officials of the Tamil Nadu government, Central Excise Department and the Food Safety Department in May.